Public health ministry of Astrakhan region forbade all medical institutions of the region service people from other areas. 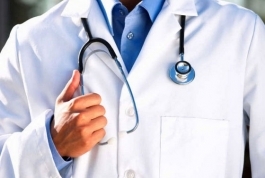 Public health ministry of Astrakhan region forbade all medical institutions of the region service people from other areas. According to chechen ombudsman, Nurdi Nuhajiev, especially natives from South Caucasus suffer from this ban. Natives of Dagestan, Chechnya and Ingushetia appealed to the ombudsman. They said that after the examination in Astrakhan Oncology Clinic, the patient was diagnosed with cancer and scheduled for surgery. However, having arrived at the appointed time patients were refused to hospitalize. 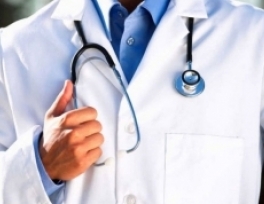 Deputy chief physician of the clinic V.V.Sevastyanova said that residents of the North Caucasus republics are not hospitalized due to the special instructions of the Ministry of Health of the Astrakhan region. The trustworthiness of such instructions was confirmed by representative of the Public health ministry of Astrakhan region T.A.Kuzina. She said that it was held a meeting, during which the participants made a decision to suspend the hospitalization of nonresident patients due to the terrorist acts in Volgograd. The Ombudsman considers that such an order of the Ministry of Health of the Astrakhan region violates the fundamental articles of the Russian Constitution guaranteeing the citizens of Russia the right to health and medical care.